Oh my gosh, those skirts look do cute! I've been dying for a cute, non Pacesetter skirt to come out! I'm digging those rad plaid speeds too! Shoot, I'm going to have to get a second job! 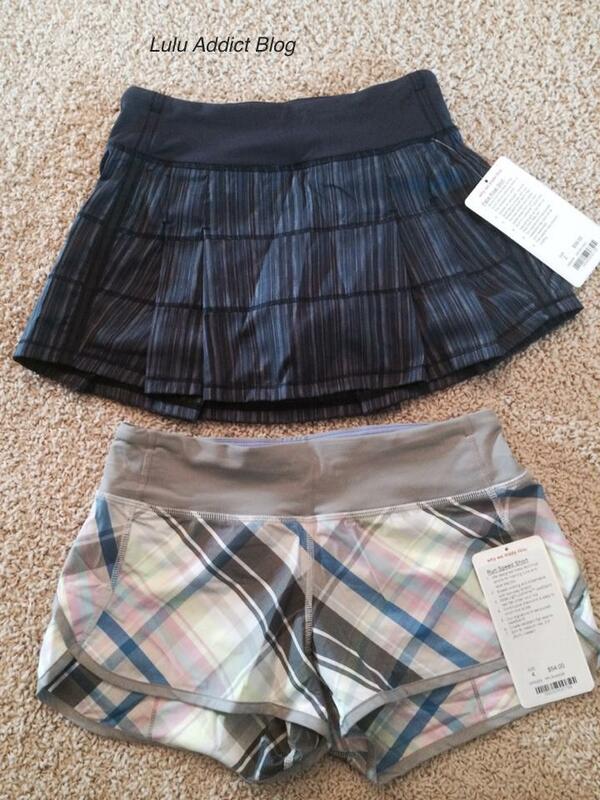 Normally don't go for plaids, but definitely liking the look of those ambient grey rad plaid speed shorts. I like them more than the earlier bright orange version. These I might have to go after! Also definitely liking the look of those soot/cashew WAFS WU's. They are really releasing a lot of appealing stuff. Back to some of their roots it seems. Good call. Can you say which Ontario Store? The WAFS WUP are nice, but I like the Zella pair I picked up from Nordstrom for $58. 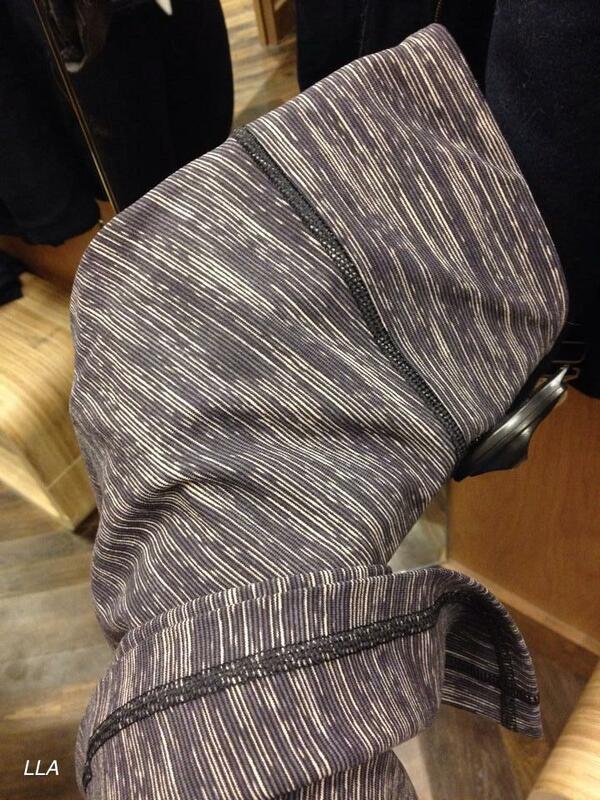 The Zella WAFS print is darker with more black and gray. 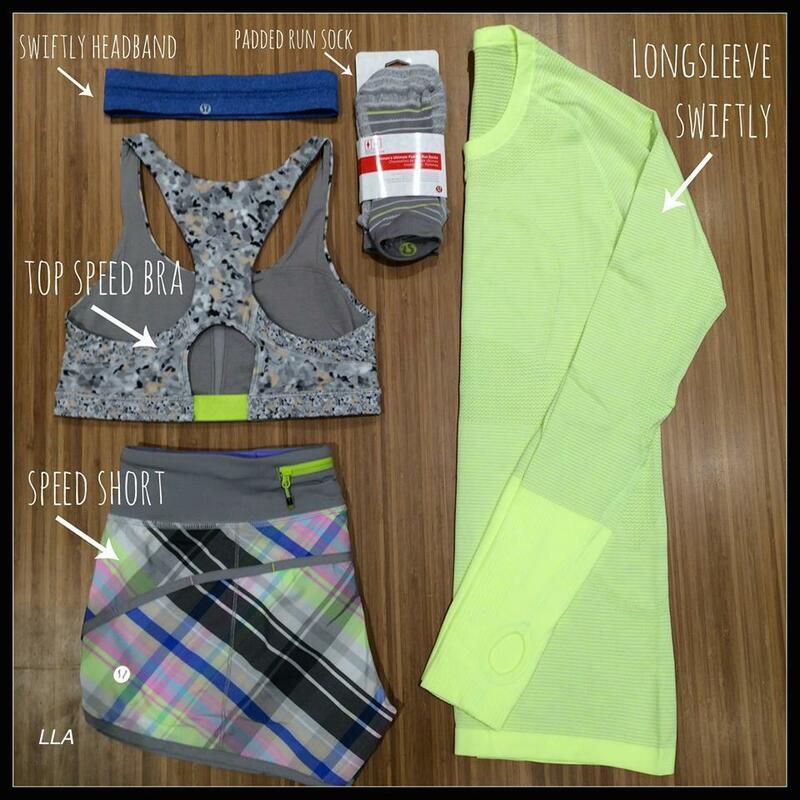 I'm really picky with fit and I have to say and the compression and flattering lines are on par with lulu for about 2/3 the price. @ anon 6:52 pm - I don't know exactly, sorry. Those WUP look just like my WESC wee space coal, from 2 or 3 years ago. So I can pass on those. WABC wee ambient black coal? Or there could be some Antidote in the stripes. Got my shipping notification for my order tonight! Did anyone else? Anyone get a shipping notice yet? I'm STILL processing and haven't had an update since the second email. Really irritating. So, seems like LLL was able to get the orders out- some shipped fedex 2nd day delivery, some- must be oversold ones - canceled. Also, they unloaded the items that they pulled off the website - mostly the dresses and other items from the new collection. Paypal checkout wasn't working and all that stuff got sold out in minutes ( ebayers or addicts- who knows, hehe). I just hope that paypal doesn't hold my funds for too long as in my not successful struggle with paypal checkout tonight, I will have $1000 frozen for few weeks and no purchases for tonight. On unrelated note- the best way to fight the resellers is not to buy from them. eBay is supposed to be a place to search for a good deal, not to waste your money. Omg. Lululemon just canceled my Monday upload order! I am so bummed!!! Just received an LLM notification that my order has been cancelled. No Free to be Wild Camo for me. I really didn't expect this as I bought the bra hours before it was sold out. Could imagine how many sad, disappointed customers would be crying out loud across America on saturday morning. Boo. Did anyone else get a $25 lulu egift card but still no order shipped email yet? Is this a "we're sorry we seriously effed up and here's our apology" consolation, or does this mean I won't be receiving my items that I ordered from the upload?! Received a egift card for $25. I placed an order on Thursday. Has anyone else received one? I am going to call Lulu to make sure this is not spam. Love the new plaid & new skirt. OT: My 2 orders from this week still haven't shipped, but I got a $25 gift card. Why don't they release the patterns in a crop and pant at the same time?! Love the new WAFS color, but would much prefer them in a crop as we head into Spring. Really like the new plaid speeds. Will definitely be on the hunt for those! 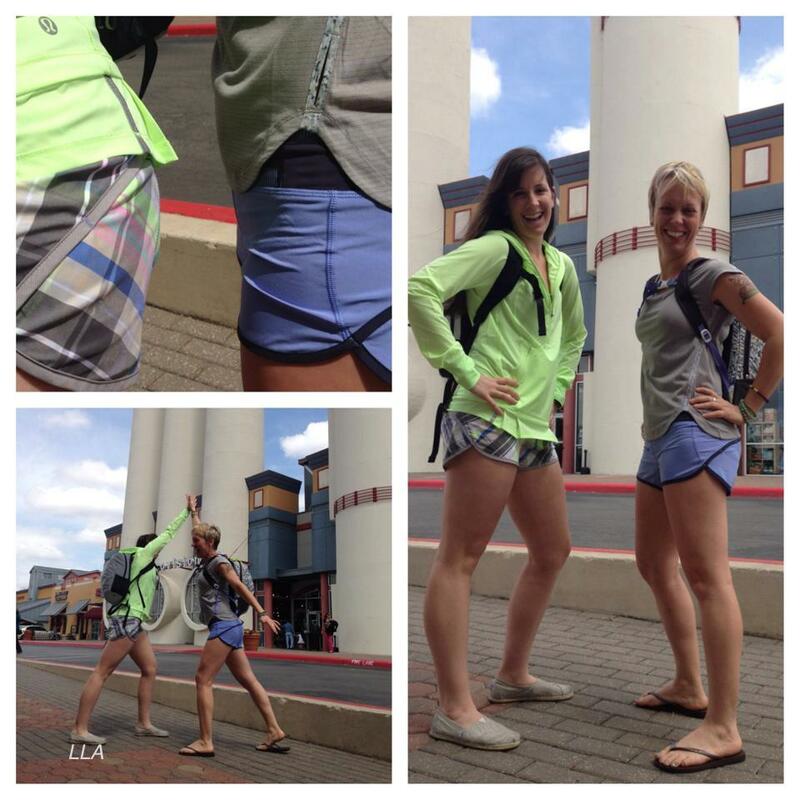 Do you know what tee the lullaby speed shorts girl is wearing? I received a $25. E gift card for the late ship last night! Great news lululemon you can do that any time!! I got gift card but NO email re status of order other than initial order.confirm from Tuesday. Had zero communication from them. No idea if I'll get my stuff or not....anyone else in this boat? I'm intrigued by the new skirt....looks cute. @Kilo Whiskey. I saw this jacket today at my store and the colour looks to be LLL's clear mint colour, not at all neon-y! I was not fussed on it which is too bad as I have the jacket in black and LOVE it! They had the gray rad plaid in the Groovy Run short in Canadian stores today. No WAFS WU pants though. 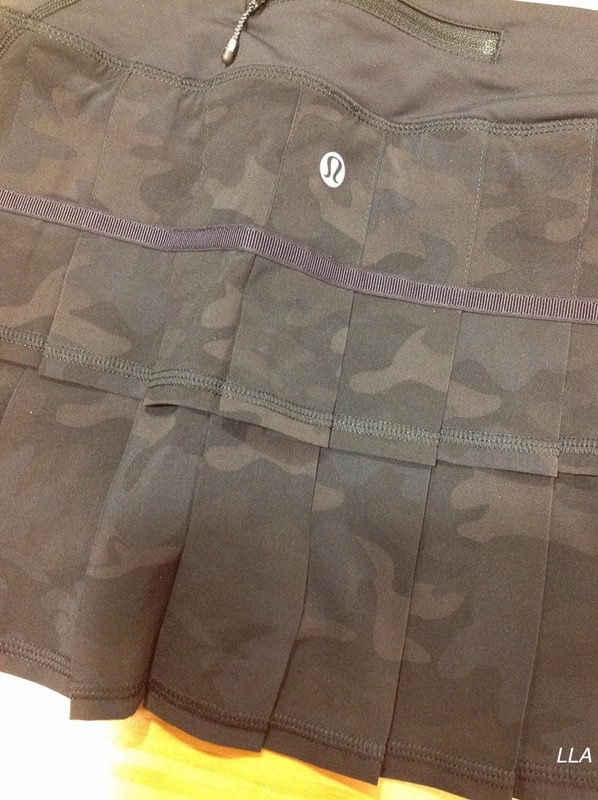 I couldn't wait to see that WAFS skirt, but after checking out the Tracker II shorts and seeing how different the fabric is from the WAFS tops, I think the skirt has the same stiff appearance. They are no where near the same. Not that I'd wear them together, but I'm completely in love with the softness and vibrancy of the WAFS Forme, Scoop, and CRB and wanted more of it! Also liking the look of those soot/cashew WAFS WU's. seeing the photo of the pacesetter skirt makes me happy, can't wait to get mine on Wednesday. I will be in the Caribbean next week and will definitely run in it. I am also quite happy about getting the gift card. Are these speed shorts 2 or 4 way stretch? And what is a good rule of thumb to distinguish between the two?